Pioneers in the industry, we offer corrosion resistant coating from India. We are among the pioneers in the domain for manufacturing, exporting and supplying Corrosion Resistant Coating. 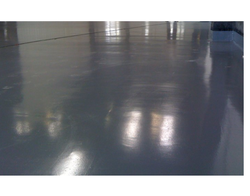 The offered Coating is used for coating and is meant to eliminate the hassle of manual work. Suiting the requirements of various industries, these products are demanded across the globe. This Coating is accurate in performance and user-friendly as well. Looking for Corrosion Resistant Coating ?